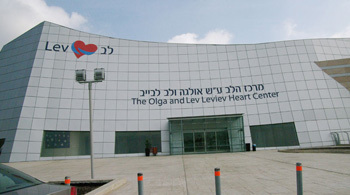 The Olga and Lev Leviev Heart Center is a one-of-kind medical treatment facility with seven functional departments—each standing upon its own reputation for excellence in care. 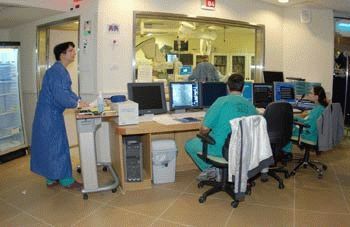 The Cardiac Surgery Center in Chaim Sheba Hospital of Tel HaShomer was founded in 1952 and was the first center of its kind in all of Israel, holding a leading position in the areas of quality of care and performance of cardiac operations. 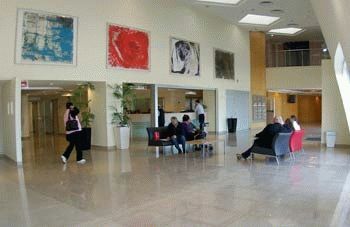 The highly trained, professional staff at the Leviev Heart Center dedicates itself to continued education, making use of the latest in techniques and technology to ensure the greatest possible outcome in heart and thoracic care. Sheba hospital's extensive cardiac surgery experience allows to operate on coronary vessels and the aorta, conduct valve repair and replacement, and to implement procedures to correct congenital or acquired defects in children and infants. In addition, Sheba's expert staff of cardiac surgeons is fully capable of performing complex, life-saving heart transplants. The cardiac team adheres to the strictest sterilization practices and is committed to providing the highest quality therapies to every patient. This includes personal care tailored to the needs of each patient and his or her family. Operating on the heart is a delicate affair, and Sheba's staff understands the stress and tension any uncertainty can cause. That’s why the staff spends as much time as possible to ensure patient peace of mind. The hospital does that by educating each patient on the treatment options, possible outcomes, and support available to them before, during, and after any treatment or surgery. Recovery after heart surgery is often accompanied by painful sensations. In order to facilitate the rehabilitation period in the cardiac center, Sheba's personnel takes all possible measures to reduce the intensity and duration of postoperative pain. The participation of family members is an important part of patient treatment and their assistance during hospitalization cannot be overstated. With that in mind, the hospital's team pays particular interest to the needs of patient family members, making every effort to provide a comfortable care setting, and a supportive staff who can answer their questions and address their concerns. Medical staff constantly works to improve the overall success of the cardiac care center by addressing all possible aspects of the operation. Employees have a great deal of personal initiative and make every effort to prevent post-op infections, to properly treat of wounds, reduce pain, as well as select an optimal patient diet. Doctors at the Leviev Heart Center are engaged in ongoing research, such as the development of operation technologies, new methods of pharmacological treatments, and the upgrading of care for cardiac patients in order to increase the level of treatment, duration, and quality of life. Research conducted in Sheba's renowned cardiac center has been published in leading international medical journals and shared with the medical community at large.